What were the happiest moments in your childhood? Was it fun with parents or playing games with your childhood buddies? Childhood is the special phase of life and definitely, we would want our young toddlers to have the most fun of it. These little angels when they move out of the comforts of home and care; enter in to real world, tend to make more friends and get engaged in understanding nature. Thus, letting them play at playgrounds, allowing them to explore and, make friends is a pivotal beginning of their life. 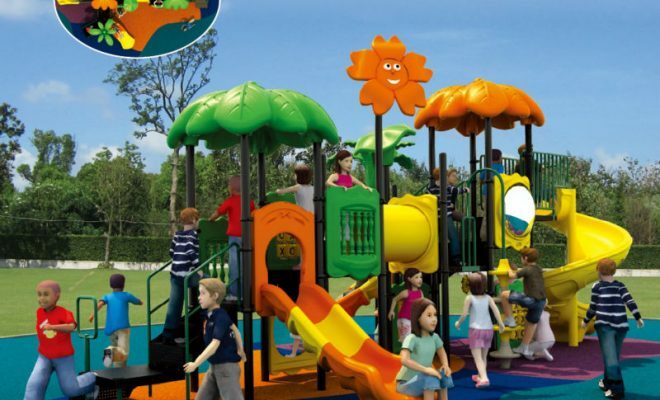 Hence, many companies have come up with the concept of playground equipment for preschoolers. Setting up playground equipment for small kids of age less than five years is soon catching up trend. You can get it assembled in your garden or open area near your house. Let your kids enjoy every moment of their childhood, and nourish them mentally and physically. Scientists have researched that the development of child brain takes place from age of 6 months to five years. The crucial growth phase involves the pre-schooling age. The importance of the playground games for kids is significant because, pre-schooling is the age when the child enjoys playing without any competitions or stress. They start making friends and interact with people; thus, they tend to become extrovert and open. 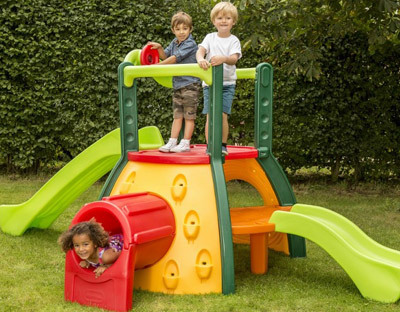 While playing on this equipment, they start noticing colours, distance, height, length and other properties of the equipment. The eyesight, mental and physical ability is meaningfully improved by time. Little ones, who are at home, may not experience the same joy of enjoying nature. Hence, they may become more gadget freaks or introverts. Ideally, gadgets are not suggested for kids below age of six. Because of cell phone radiations and diminishing eyesight problems, the development of brain gets hindered. The playground equipment for preschoolers allows your kids to come out of that trap. Spend time with your kid and let them engage in the natural phases of life. The other major development which we can see in children who spend time in playgrounds is problem solving ability. The small acts of building a home with sand, sliding, balancing, jumping and running improves their capacity and structure. They may develop interest in sports activities and events. They may engage in understanding nature, plant little saplings and play with pets. They soon grow up to be active and smart kids. Their attempt to learn and adore these items will surprise you. Hence, your investment for playground equipment will not go in vain. Commercially, if you own a day care for kids too, the playground equipment is essential. Firstly, you will get more customers than before. Secondly, you will be helping to make children healthy and develop mentally too. Children of the similar age can play together and become friends irrespective of their different agility. You can let kids get engaged and provoke inquisitiveness and imagination in them. Lastly, the kids who are new to day care will not experience trouble getting engaged in the new environment. Hence, the playground equipment will prove to be a useful investment for parent and children both.